Inventek has released three embedded Ez-WiFi modules based on the Broadcom’s (NASDAQ: BRCM) Broadcom Wireless Internet Connectivity Platform. Ez-WiFi modules offer the first plug-and-play WiFi solution that enables the embedded sector to develop integrated hardware and software WiFi solutions using Broadcom’s 802.11 components. These modules will provide manufacturers the ability to easily integrate wireless connectivity into many MCU based designs in the consumer, industrial and medical product markets. Examples of the rapidly expanding embedded WiFi space include smart appliances, building automation, smart energy control, and cloud-based interconnectivity for healthcare and medical monitoring applications. The Ez-WiFi module hardware system consists of a host processor, integrated antenna and Broadcom WiFi device. The module provides SPI and UART interfaces enabling easy connection to an embedded design. The module requires no operating system and has a completely integrated TCP/IP stack that only requires a simple AT command set to establish connectivity. and a small 15mmx28mm or 15mmx30mm form factor. These features minimize or eliminate the development time, testing routines and certification requirements and make them ideal for a wide range of embedded wireless applications. Ez-WiFi modules are offered in three configurations: 15mmx30mm module with integrated trace antenna (ISM4319-M3-L44-E), 15mmx28mm module with ceramic antenna (ISM4319-M3-L44-C) and 15mmx28mm module with U.Fl connector for external antenna connection (ISM4319-M3-L44-U). In addition, Inventek offers two development boards (ISM4319-M3-E-EVB and ISM4319-M3-UC-EVB) for customer evaluation and integration of the Ez-WiFi module into their system. For applications that require customized design, Inventek also provides customer specific hardware and software design services. 802.11 b, g and n compliant based on Broadcom MAC/Baseband/Radio device. Host interfaces: UART, SPI up to 25MHz. Low power operation (3.3V supply) with built-in low power modes. Building automation and smart energy control. Industrial sensing and remote equipment monitoring. Inventek Systems is a privately held, USA-based, full-service wireless solutions provider focused on 802.11 WiFi embedded solutions, GPS embedded modules and antennas. We provide a wide range of standard and custom embedded options ranging from low cost system-in-a-package (SIP) products to modular based custom solutions. We provide complete services from consulting to custom design to cost effective high volume manufacturing. 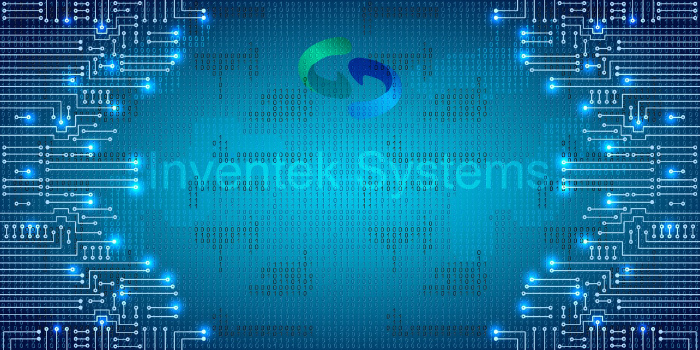 Inventek Systems products are used in a wide range of consumer, industrial, and defense based applications. Inventek’s Ez-WiFi and Ez-GPS products are enabling customers around the world to add WiFi connectivity and GPS features at a quickening pace with minimal design effort.